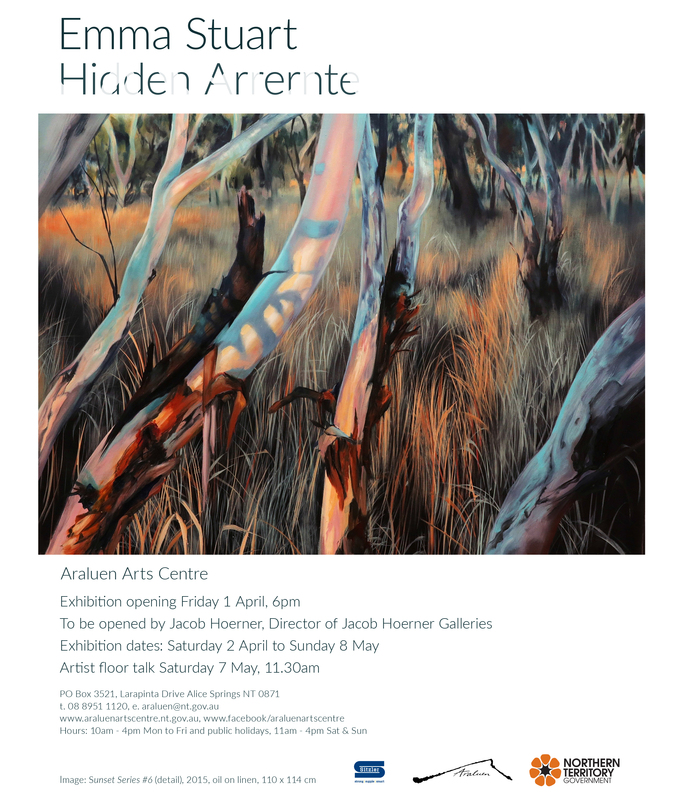 #araluenartcentre « Central Australian Art Society Inc.
Central Australian Art Society Inc.
Friday the 1st April will be a busy evening for our members and the art community of Alice. Deborah Clarke’s exhibition opens at 5P (details in a post below) closely followed by Emma’s Hidden Arrernte at 6P. A busy night for many! You cannot choose, so you will just have to go to both Openings! They are a short walk apart. Enjoy a wonderful evening.